When you purchase staircases from Premier Doors and Millworks, you will get extraordinary quality at reasonable cost. Quotes for stairways and balconies are typically made from your blueprints. We work closely with with your architect, designer, and builder to create beautiful curved or spiral stairways that give the dramatic character your home deserves. We take exceptional care to assure your stairway lasts the lifetime of your home. No veneers are used. The stringers are made of solid hardwood plys. All visible plys are at least 1/4" thick hardwood with at least 1" solid hardwood used on the edges. The stringer core is made of plywood for greater structural strength. Housed (closed) stringers are routed, wedged, glued and screwed to the treads and risers for added strength and tight, squeak-free joints. 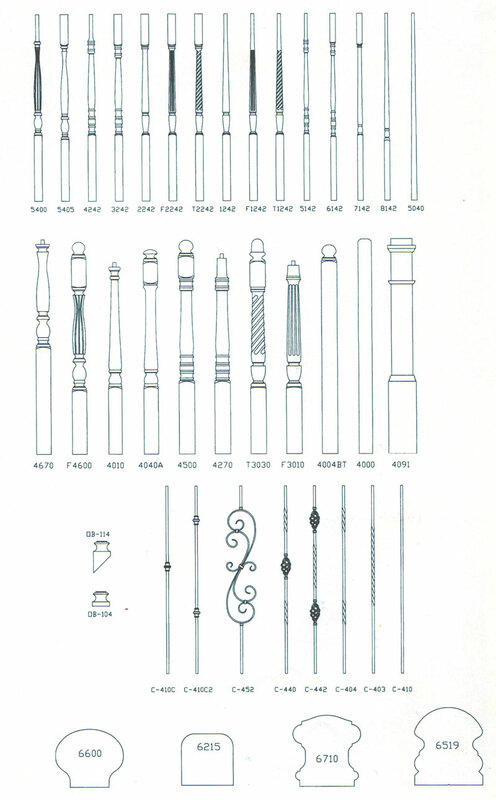 Strong dependable metal dowel screws are used for wood baluster attachment to the pre-drilled treads. All structural stair carriage joints are attached with PL-Premium construction adhesive and pocket screws for strong unobtrusive connections. No staples or nails are used in any structural applications. Open stringers are mitered to the risers, and pocket screwed to the treads. 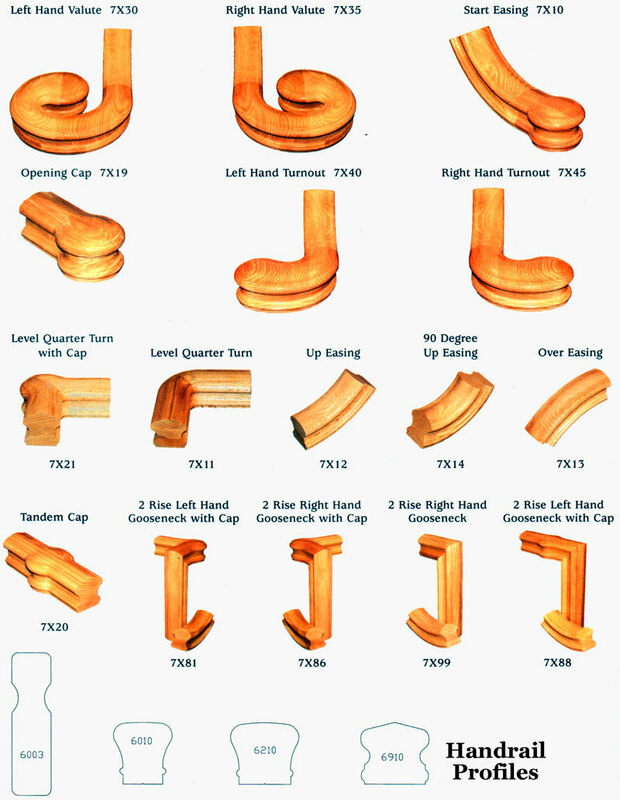 Curved end nosing and cove moulding matches the contour of the stair radius to present a clean high quality appearance. Each installation begins with detailed field measurements at your job site. 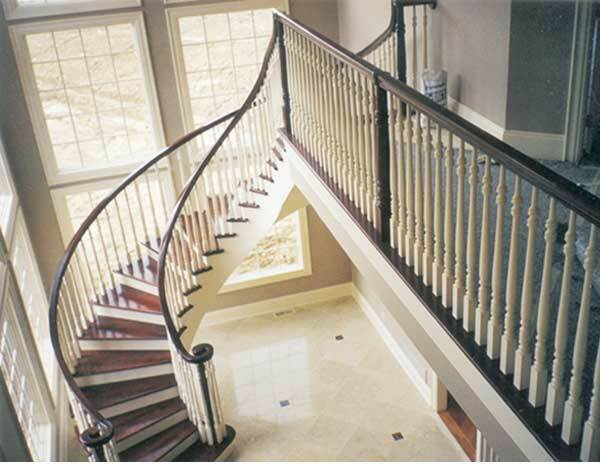 The entire staircase, railing, banisters, newels and landings are completely built, assembled, and inspected by Amish craftsmen in the factory to specification. The complete stairway is then disassembled, carefully labeled, packaged and shipped to the job site. Our master craftsmen then install your beautiful stairway for a lifetime of enjoyment beyond your expectations.